I mentioned yesterday that life has been crazy lately and I had a pretty big announcement to make here on the blog so here it is. The Bee's have purchased their very own hive! Buying our first home has been a long time coming and we are so excited that we finally found the perfect first home for our family. I feel like it's all happened so quickly and it's really been a rush that hasn't quite sunk in yet. We have been running round like chickens with our heads cut off trying to pack, meeting with inspectors and lenders, and preparing the kids for the big changes that are coming in the next few months. I cannot wait to have those keys in my hand and leave our tiny little apartment behind. Thank you to all of you who have sent us well wishes and congratulations, it means the world to us that everyone is just as excited as we are! This also means that my home tour series will continue in our new home and that I will finally have an office to call my own, things are going to get super legit here on the blog! Are you pumped or what?! 1.// A little preview of our new home! I cant wait to get my hands on it! 2.// We started packing this week and our apartment look so strange with bare walls! 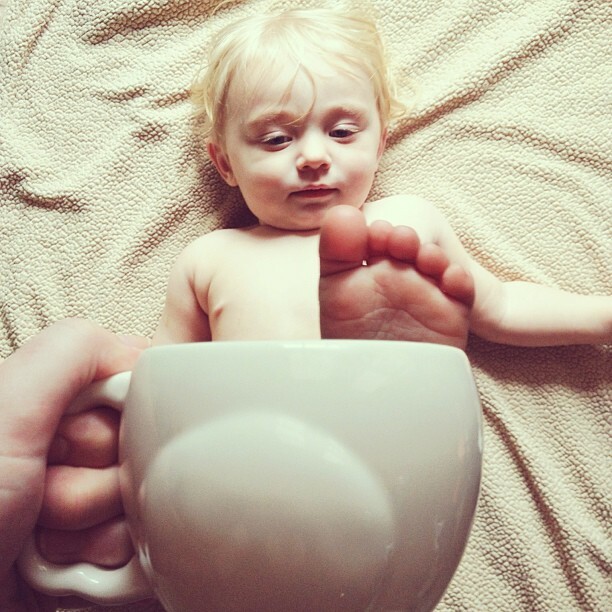 3&4.// I jumped in on the #babymuggin train via Instagram! 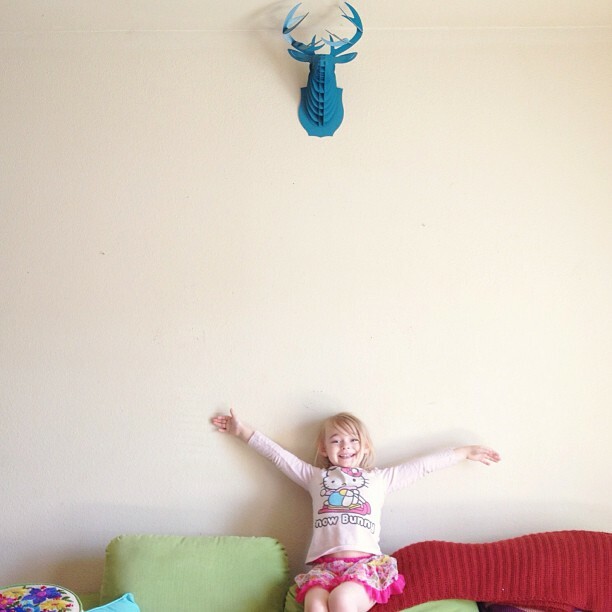 If you have kiddos join in, it's so hilarious! 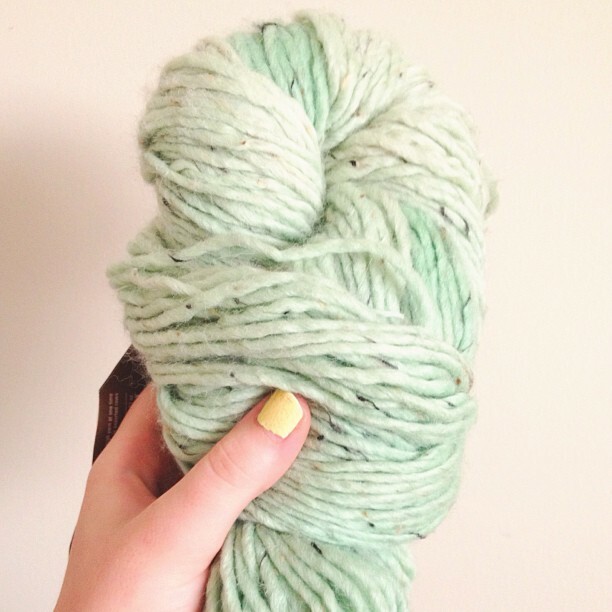 5.// Mint Chocolate Chip yarn love. 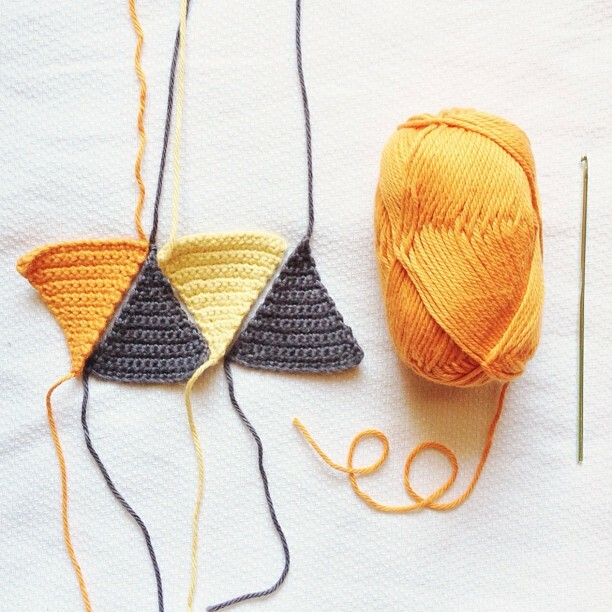 6.// I did a few samples for a geometric blanket that I'm starting for Hunter, these colors will be in his new room! 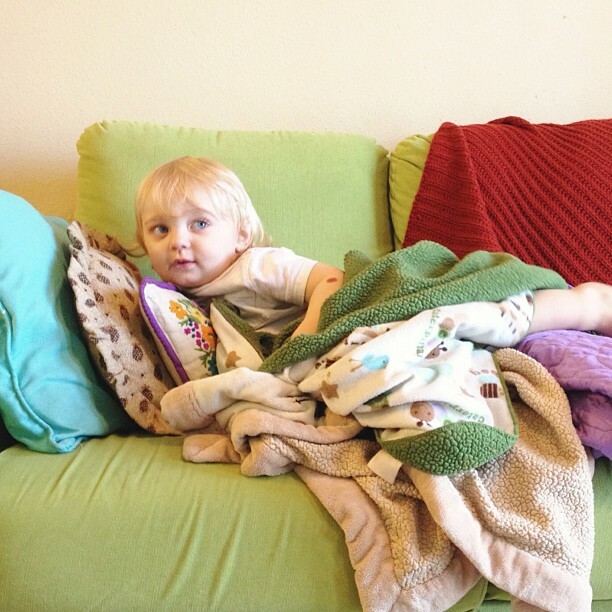 7.// The little guy fighting nap time as usual. 8.// "Hey look mommy, I'm a panda bear!" 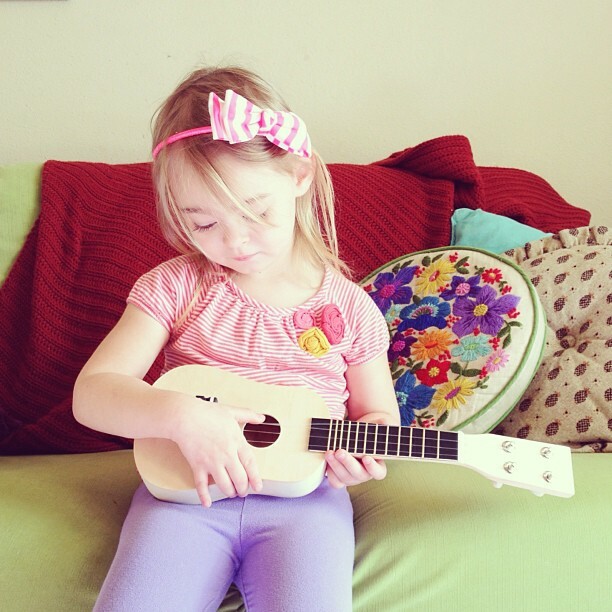 9.// We bought the littles a customizable ukulele and it has been a big hit around here. 10.// My first order from the wonderful Knit Picks arrived and I'm obsessed with the feel of this yarn, it's like a dream! 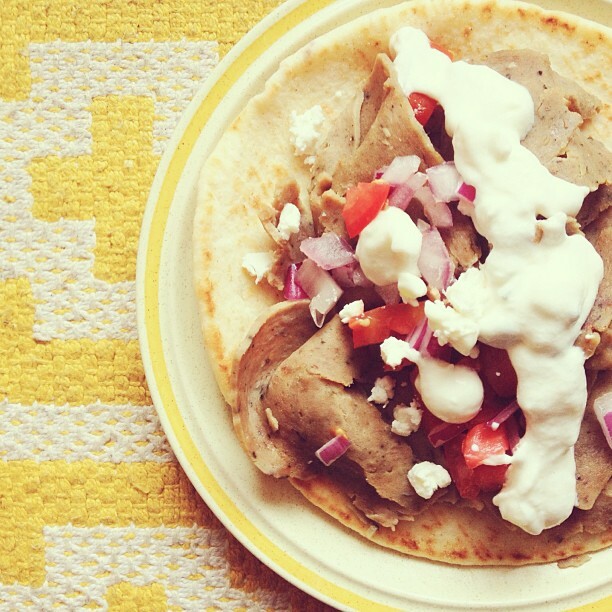 11.// The family had a Gyro picnic in the living room this week, boy was that yummy! 12.// If you've never shopped at Typo, I suggest you go now, but I warn you, your wallet will be screaming for mercy. 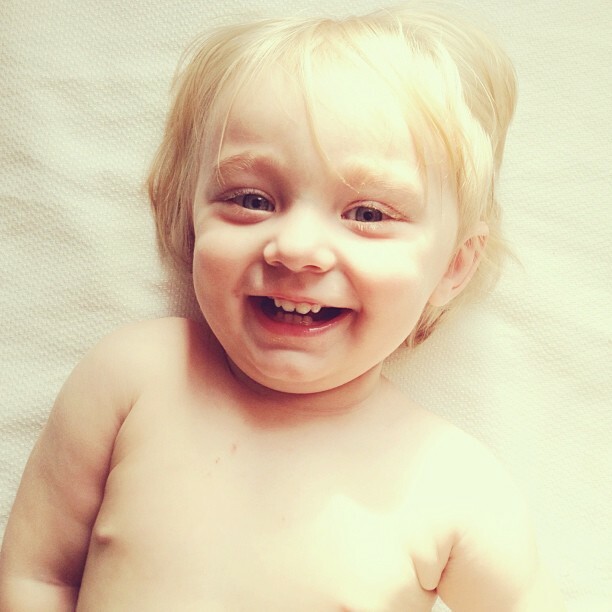 13.// This little smile always makes my day! I love the picture with the ukulele. It's so cute! 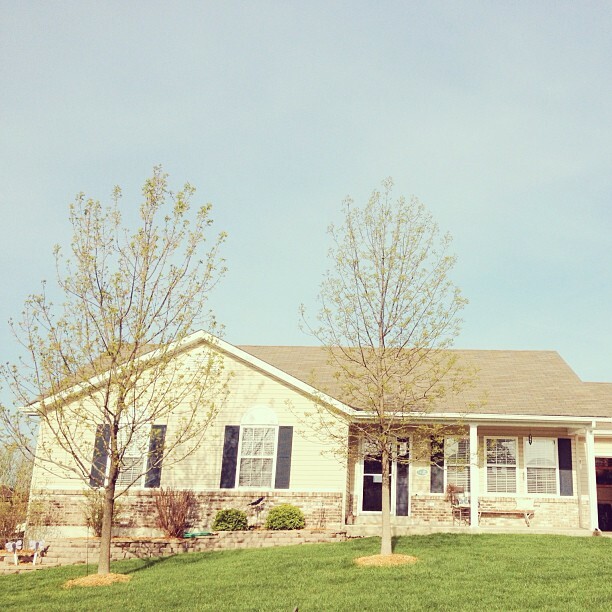 The house is so cute! It definitely has curb appeal. Congrats! Congrats on your beautiful house!! 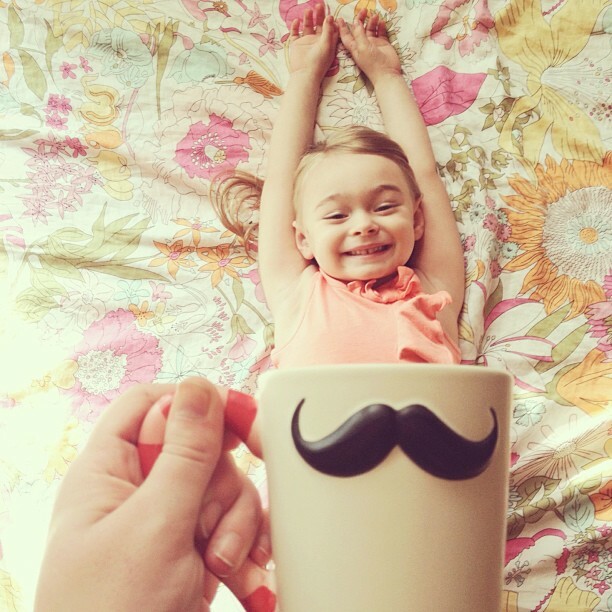 Those mug pictures are adorable. What a clever idea. 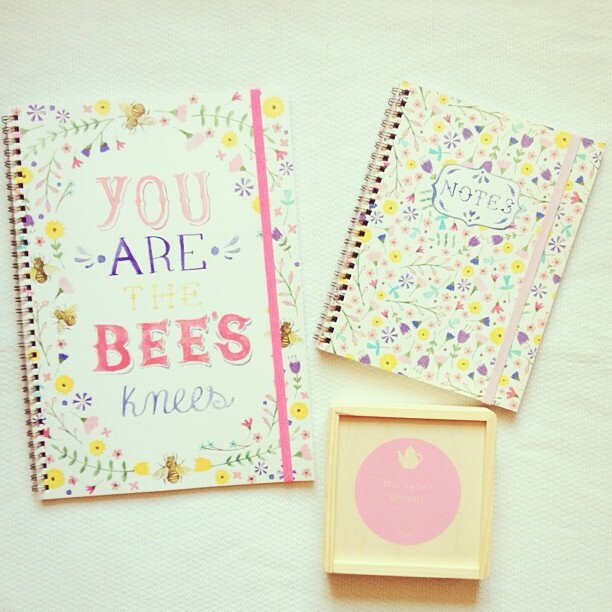 Congratulations for your own beehive. You're the queen! Amazing photos, LOVE LOVE LOVE! 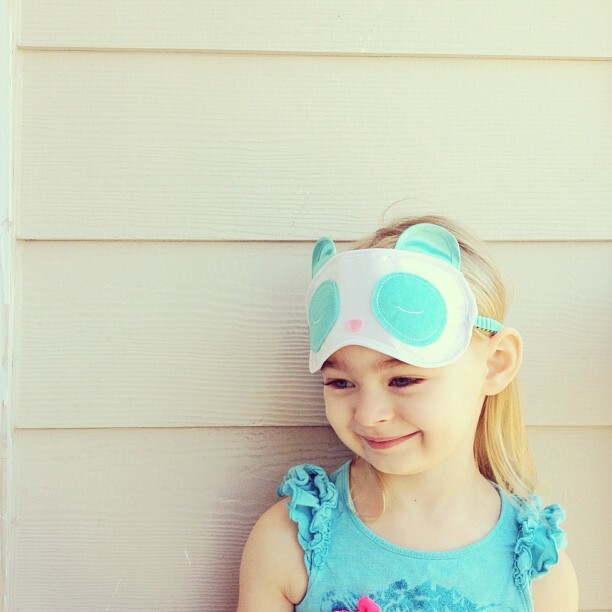 such beautiful kiddos! 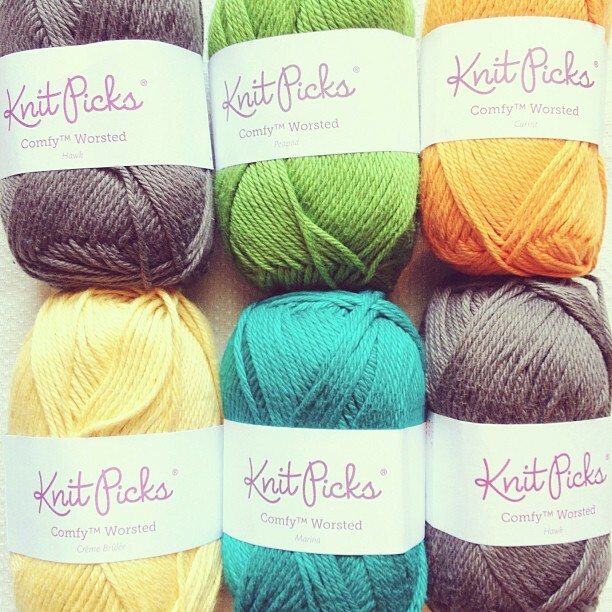 love those knit colors!